The communist UNITE union has welcomed a new organiser to its ranks. Daphna Whitmore has given up her job as a nurse in a union health centre to fight for the revolution in the burger bars and boutique hotels of Auckland. Daphna Whitmore is the Maoist's Maoist. The niece of veteran communist, the late Ray Nunes, young Daphna absorbed her Marxism at a tender age. In 1986 she travelled to Nicaragua with Laila Harre and others to pick coffee for the Sandinistas. At Auckland University,in the late '80s, where she earned an Anthropology degree, Whitmore wrote articles for "Craccum" condemning the sell-out Labour Party and praising the Maoist guerillas then causing havoc in Peru. Uncle Ray, a diehard Maoist loved Peru's "Shining Path" communist guerillas who he saw as Mao's true heirs. Young Daphna loved the Maoists too and in 1990 was a spokesman for Uncle Ray's "Peruvian Liberation Support Group". When Uncle Ray founded a little Maoist group called the "Workers Party of NZ", Daphna was there with him, boots and all. Whitmore took over leadership of the Party when Uncle Ray died and also edited their journal, "The Spark"
after "Shining Path" collapsed in the early '90s Whitmore turned her adulation to other Maoist revolutions-the insurgencies in the Philippines, Nepal and India. 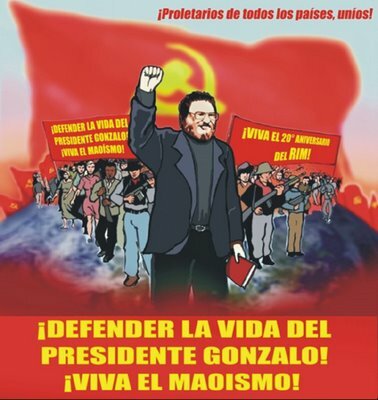 In 2001 Whitmorec was elected to the co-ordinating committee of the International League of People's Struggles a wordwide alliance of more than 200 Maoist organisations, headed by Communist Party of the Philippines founder, Jose Maria Sison. 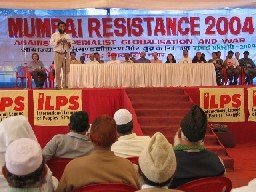 In early 2004, Whitmore and ACA members Mark Muller and Will Shannon travelled to India to the Maoist organised Mumbai-Resistance gathering. The delegation also visited Andra Pradesh, a major centre of Maoist "Naxalite" insurgency. Shaanon later wrote an article for Canterbury Uni's "Canta" detailing the Indian states attempts to suppress the "Naxalite" insurgents. Locally, in 2004, Whitmore's "Workers Party" linked up with a Christchuch based Trotsyite group "Revolution", to form the "Anti-Capitalist Alliance". The inner core of the ACA became the "Revolutionary Workers League", of which Whitmore became a leading member. This year, the ACA morphed again and at the suggestion of Dunedin member, Tim Bowron, re-adopted the "Workers Party" label. 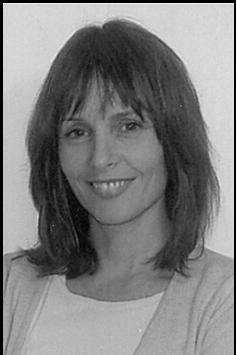 Now Daphna Whitmore is a UNITE organiser in the hotel sector. She has also been involved in unionising fast food stores at Wendy's and Red Rooster. Will the burger bar bolsheviks of Auckland throw off their aprons and lead the masses against the capitalist fat cats in their plush Queen Street offices? She still around then...God I remember when she used to hawk her sad little rag outside the Lower Caf at Uni...didn't ever see anyone buy a copy tho. Trev, It might be instructive to write a post explaining the difference btw a Marxist, a Bolshevic, a Maoist etc etc. You got to know your Commies! I understand the differences between Maoists, Trots etc quite well but it took quite a bit of reading to get to this stage. I'm sure other readers would appreciate a guide to different types of commies. Most people seem to think Communism is one big monolith that is all powerful and united. When really commies hate each other more than the capitalists. Tj apparently she sold one on October 3rd 1989 about 12.15 pm. Apparently it was to Graham Watson. To Ex. will do. I,ve got tons of posts piled up, but I'll do it shortly. Wow how did you find that out? apparently she sold one on October 3rd 1989 about 12.15 pm. Apparently it was to Graham Watson. It wasn't the Spark, Byron, it was the "Ember", the shortlived publication of the Prepatory Committee for the Establishment of a Workers Communist Party (Marxist-Leninist-Mao Zedong-Gonzalo Thought). Apparently it didn't really take off for some reason.